The story begins in a quiet suburban neighborhood of Detroit, where the Lipinski family lives with their teenage son, Robert, and his younger sister, Sarah-Jane. Suddenly, the family is dealt a huge blow when Roberts parents decide to split up. He is left devastated by his parents divorce and locks himself away in the attic, spending most of his free time there. His time at school is also rough. A… gang of youths in Roberts class constantly teases him and beats him up. One of them is Martin McDermott, who will prove to be a thorn in Roberts side for many years to come. One day Robert encounters a magpie after she flies in through the attic window and into Roberts life. He named the bird Gale. 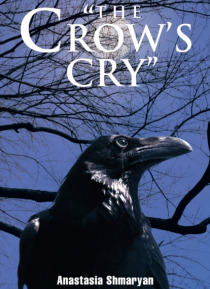 What Robert doesnt realise is that Gale is not an ordinary bird, as the unlikely friendship grows between the teenager and the magpie, eventually leading them both down a path of crime and burglary that spans over a decade and changes Roberts life forever.